It's one of those stories that stay with you, that speak directly to your heart and change you a bit. It's book about friendship and love but also about loss and coping with being only survivor. Shelby was a cheerleader and had a twin brother who played basketball. One night after returning from a game, they got into horrible accident and only Shelby survived. Even she didn't came out unscratched, her leg amputated below the knee. Road to recovery is long and when she is finally ready to go back to school, it gets very challenging. And then there is Sebastian, her brother's best friend and her biggest nemesis. They are always at each other throats, hilarity ensured. :) He is paying more and more attention to her. I love the dialogue between them, I was LOLing through the whole book. :) The best part of the book are the messages. 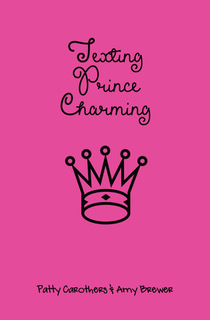 Under the name Prince Charming someone is sending her cute messages (full of Disney princess references *swooning*).